This Chaos of the Infernal Maw Warlock set comes as an extra drop in the first treasure of the Fall 2016 Battle Pass. 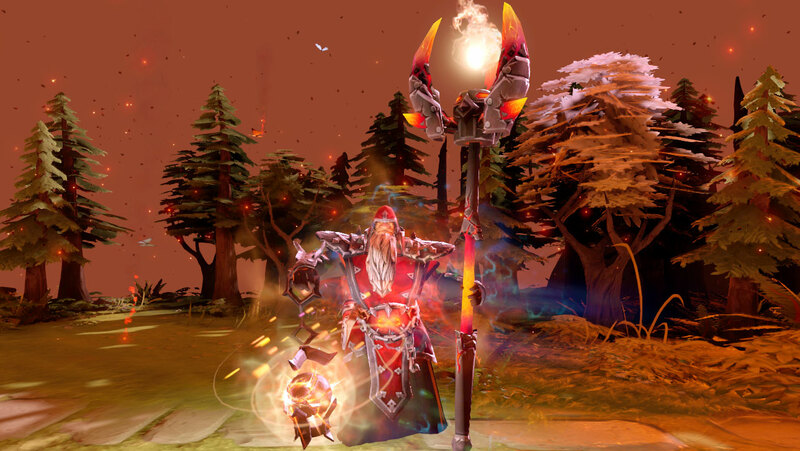 The Treasure also contains items for Slark, Venomancer, Night Stalker, Puck, Omniknight and a Rare Anti-Mage set. While the Chaos of the Infernal Maw set looks great, I’d definitely replace the current staff with Hellborn Grasp, in my opinion still one of the best looking Warlock immortals. Get a friend and lane Kunkka + Warlock in the offlane. You max Fatal Bonds and have him max Tidebringer. I find the combo pretty fun, if you land Fatal Bonds over a whole creepwave plus two heroes and he gets a Tidebringer off its definitely going to hurt. Keep in mind that you don’t have much setup for the Torrent into kills here. Getting someone to join you could make it a bit more effective. ← What’s New at Loot Market?